If you have a loved one who is reluctant to move away from their home, sometimes it’s a lot easier to agree with them and investigate products and home modifications that make their life easier, safer, and more successful for everyone in your family. Here are some of our favorite products and services to help keep your loved one safer and more secure at their home. Walk-In Tubs and Showers – One of the best ways to prevent slips and falls when bathing is to have a Walk-In Shower or Tub installed. Unlike traditional showers and tubs that often require users to “step out” of it without catching their foot or losing their balance, having a Walk-In version allows you to step in and out of the tub without slipping. Many of these types of tubs and showers have the option to add a hand held shower head, which also makes bathing and rinsing much easier. Stair and Lift Chairs – For older people who have mobility issues or problems, getting up from a chair can sometimes be a challenge. Lift lounge chairs are multifunctional, offering your loved ones a comfortable place to sit, as well as a boost lift to help them stand upright whenever they need to move. 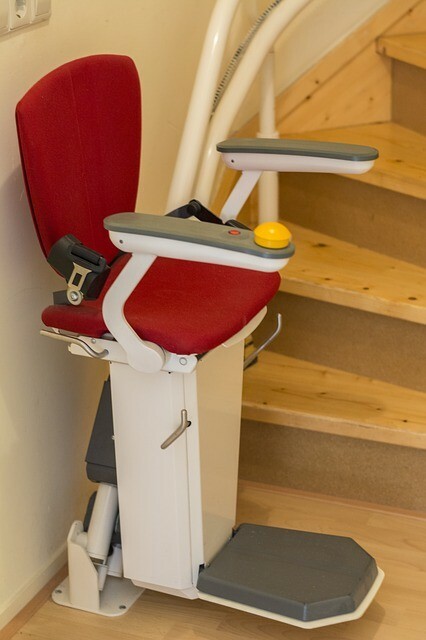 Stair lift chairs designed for multi-level homes help your loved one navigate the stairs in their home safely. By removing the need for your loved one to go up and down stairs, you eliminate much of the risk that’s associated with this part of their home. Emergency Alert System – Everyone wants to know that their loved ones are safe. One of the best ways to ensure that your aging loved one can get help quickly if they need it is by getting an Emergency Alert or Home Security System installed at their residence. Instead of you having to worry about them staying alone, you get peace of mind knowing that if they need help for a medical, or any other type of emergency, they can connect to a professional company who can dispatch personnel to assist at any time of the day or night. These days, there is no shortage of products and services that can significantly improve the safety and security of your aging loved one, so they can stay in their home for as long as possible. However, if it comes to a point when you need help caring for a loved one in Hawaii, Aloha Hab is here to help with a broad range of services to help you meet your needs. Contact us today for more information!